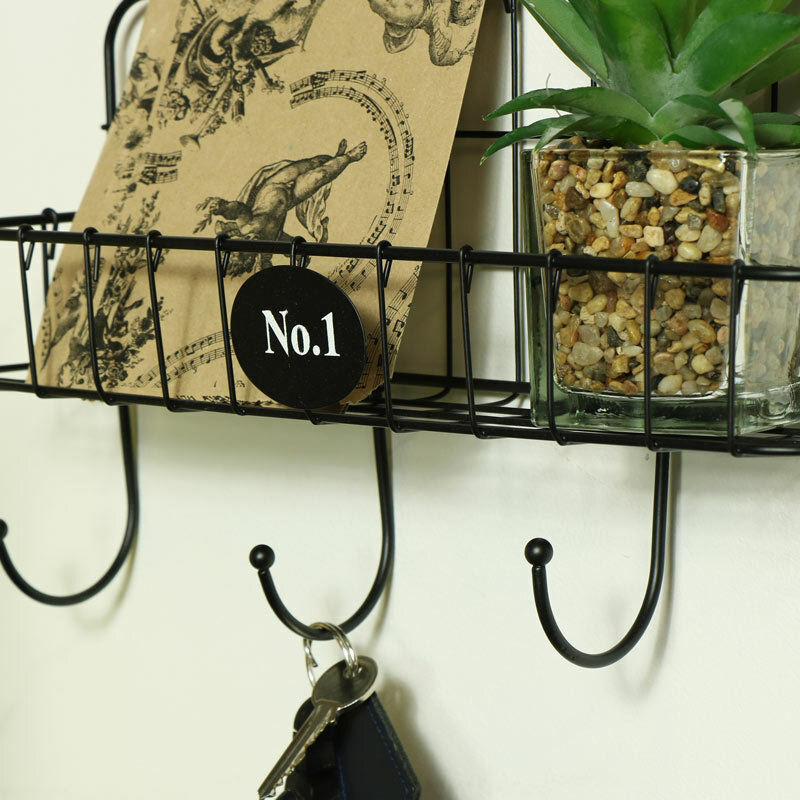 Black metal wire storage rack with hanging hooks. Offering a practical storage solution for the kitchen, bathroom or hallway. Multi purpose and practical design that can be used in the bathroom for toiletry storage with towel hooks, in the kitchen for jar and spices storage with hooks for hanging tea towels & oven gloves or use as key hooks with the basket ideal for holding letters and post. With a great choice of storage solutions to choose from, you can accessorise your home just how you want. 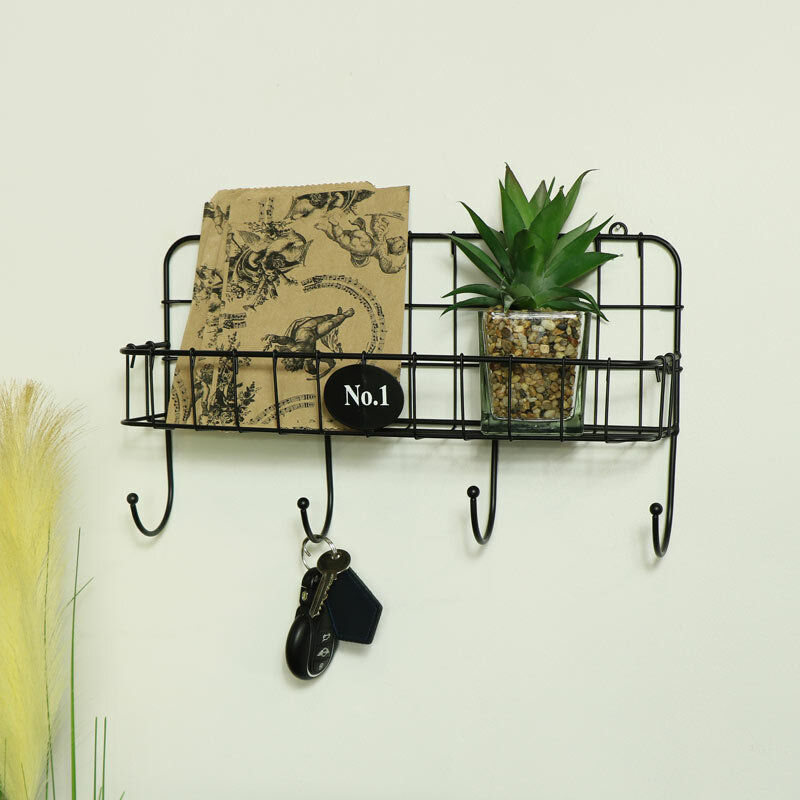 Black metal wire storage rack with hanging hooks. Offering a practical storage solution for the kitchen, bathroom or hallway. Multi purpose and practical design that can be used in the bathroom for toiletry storage with towel hooks, in the kitchen for jar and spices storage with hooks for hanging tea towels & oven gloves or use as key hooks with the basket ideal for holding letters and post. With a great choice of storage solutions to choose from, you can accessorise your home just how you want.